CHARACTER, UNIQUENESS, SIMPLICITY. 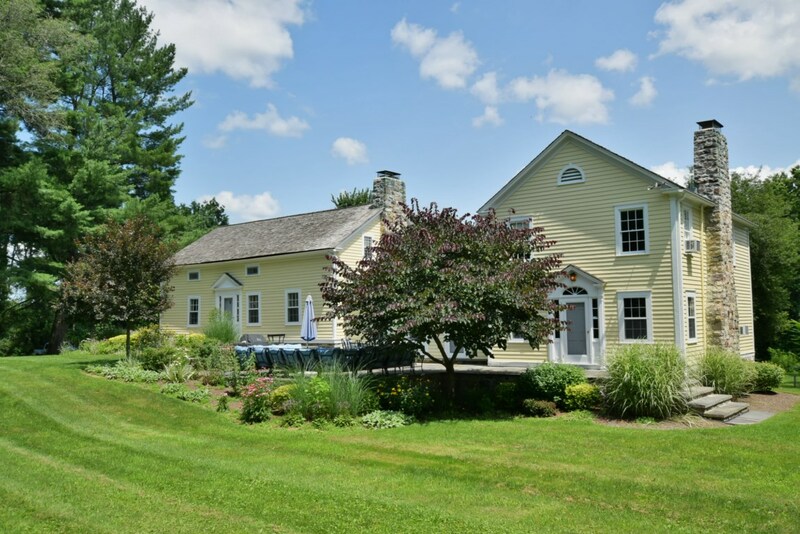 Nestled on 5 private acres, the original 1830's wing of this home has been lovingly preserved and tastefully updated. New conveniences have not compromised the charm and original details that exist throughout. The newer wing circa 1930's, is exquisitely finished in rich wood raised panels and beams, with built ins! Three working fireplaces, five bedrooms, and 3.5 baths within 4500 sq. ft. A grand game room with cathedral ceiling and bluestone flooring blend these two distinctive , architectural designs. Bluestone patios, six person hot tub with its own propane heater, and spring fed ponds are surrounded by lush perennials, and soaring evergreens, creating this "magical setting". This "one of a kind" local masterpiece is proudly offered at $750,000.